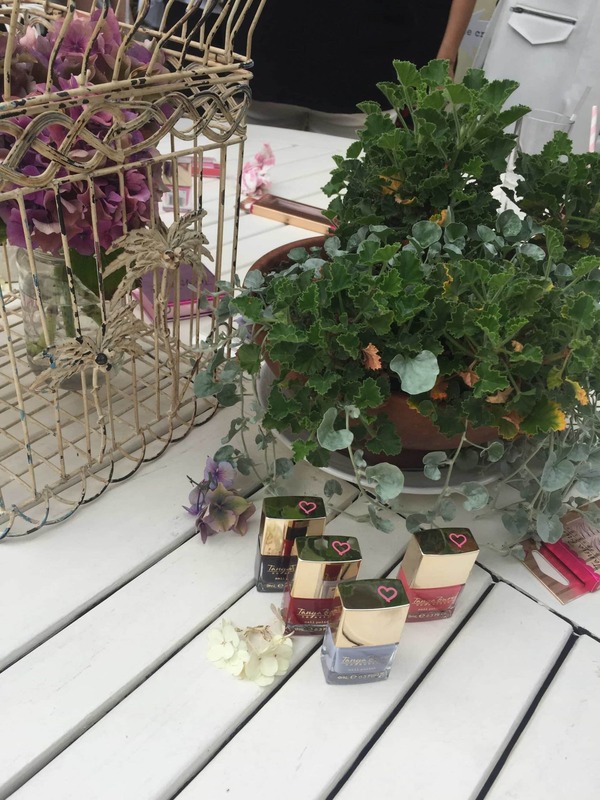 I’m so excited because my lovely friend Tanya has launch her OWN COSMETICS LINE. That’s huge! Like, really REALLY huge! 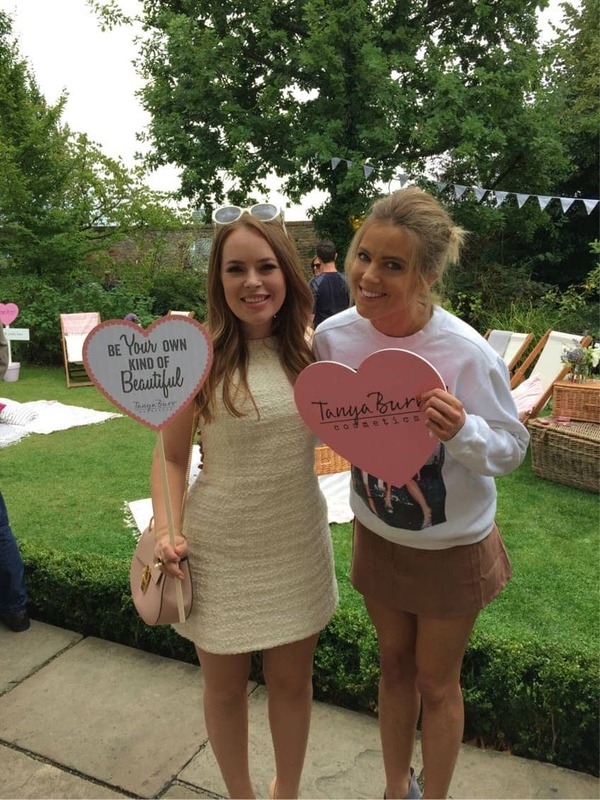 Tanya Burr Cosmetics launched officially yesterday at Kensington Roof Gardens, where we were all gathered for a little picnic. I say little. 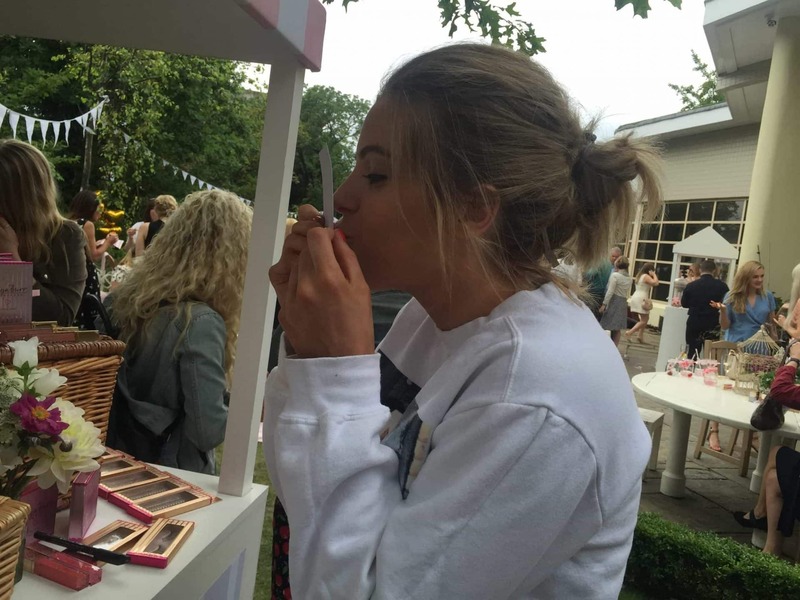 There was actually nothing little about it – all four of the usually separated gardens had been merged into one perfectly sprawling summer party. 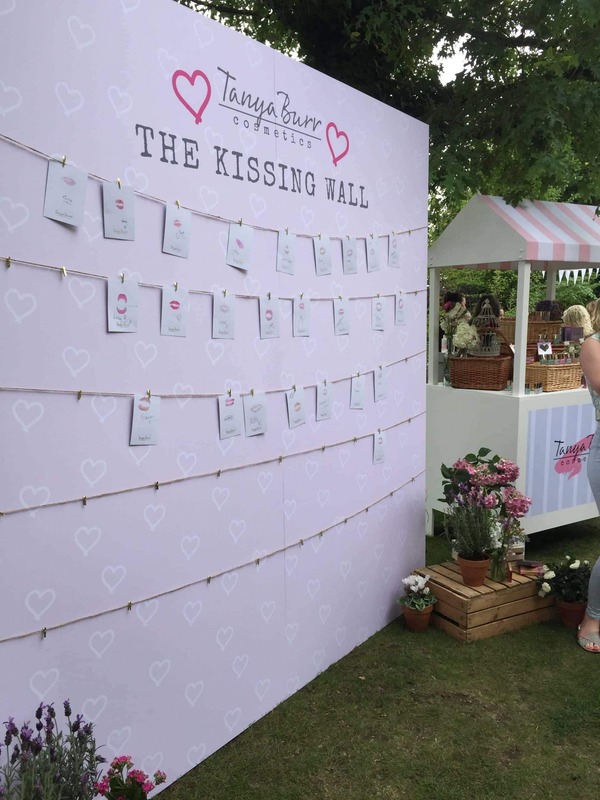 Complete with kissing wall, photo booth and artfully scattered pillows to chill on. Obv. 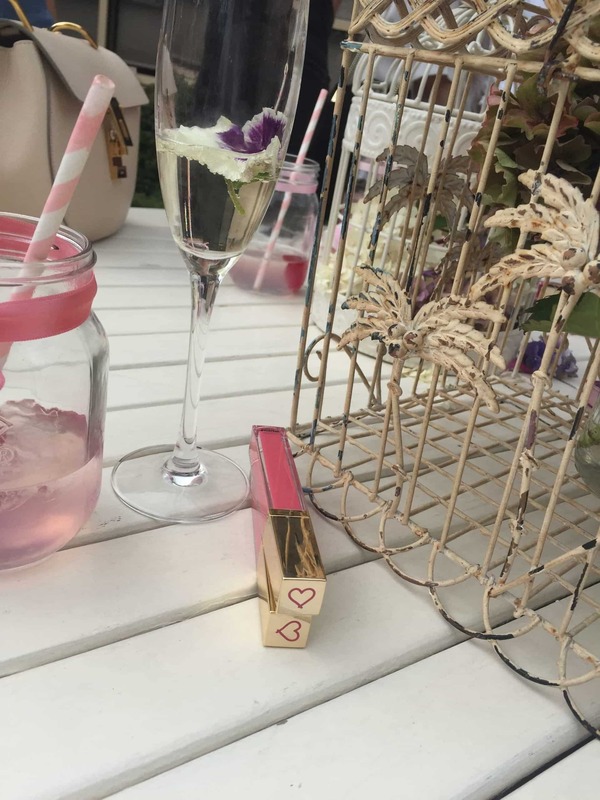 We were drinking champagne with flowers and cute pink lemonade out of retro jam jars. 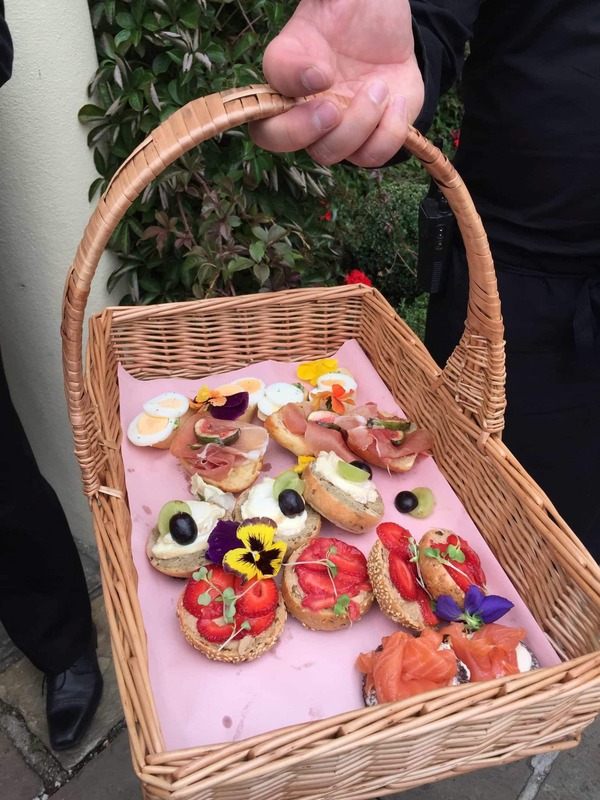 And the food was mega – staff were wondering around with wicker baskets of very English snacks. It was pretty hard not to eat the lot! To paint a quick picture (although I’m sure you all already know this anyway), Tanya started off as a make-up artist – actually, that’s how I met her, when we were filming a tutorial video for Clinique together. 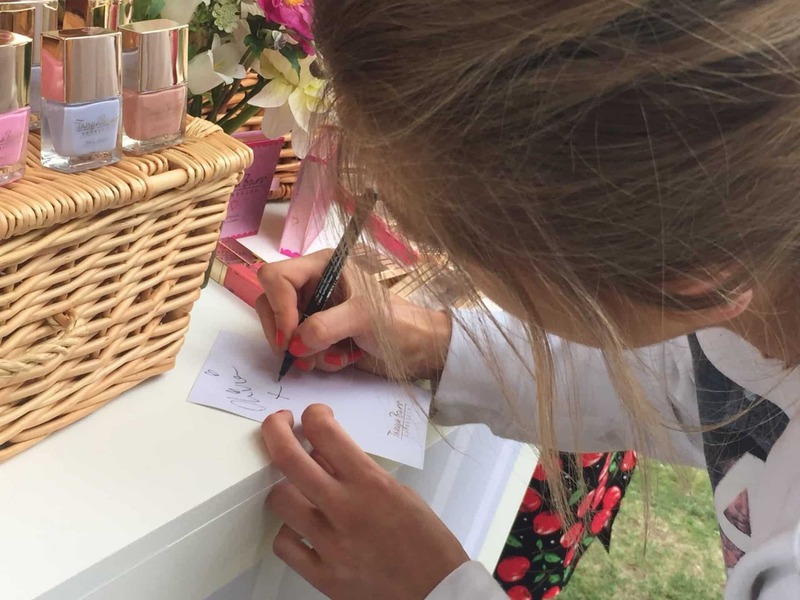 She’s lead the pack at vlogging and blogging for the past half decade, and in that time has dabble with product launches, with lipglosses, nail varnishes and a book to her name. But this one is whole new kettle of fish – Tanya’s been working on for the past year, and has a design team adding their input, too. 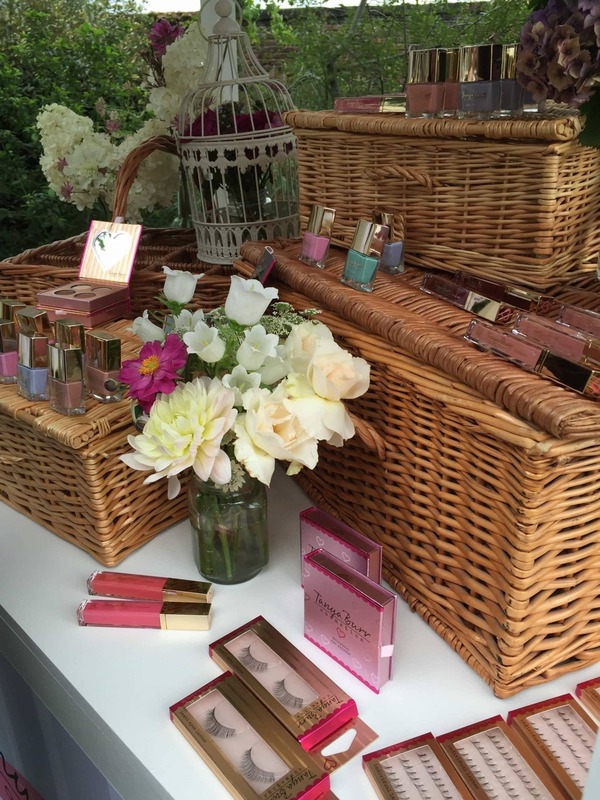 The beaut range has 62 pieces – lipglosses, palettes, lashes, eyeshadow…. and is all beautifully branded in gold and pink, with Tanya’s signature heart motif. All the products are being sold in Superdrug and online at feelunique.com.